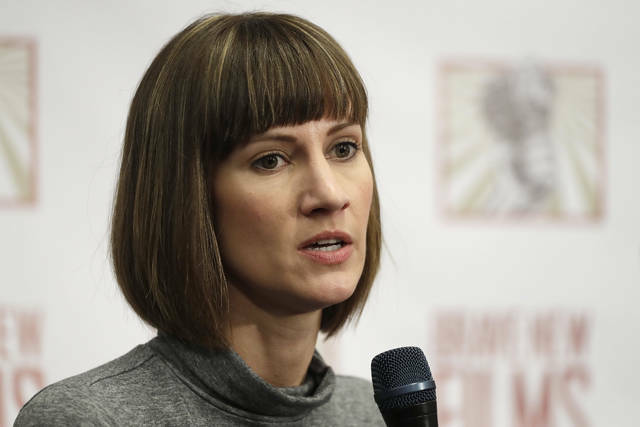 COLUMBUS — Rachel Crooks’ allegations of sexual misconduct against Donald Trump have been dismissed by the president and his supporters, so she has a new approach to ensure her message is heard: She’s running for office. Crooks is one of 14 women who have accused the Republican president of inappropriate behavior in the past, allegations Trump has denied. Sandusky County went for Trump in 2016 but before that favored Democrat Barack Obama in the 2008 and 2012 presidential elections. Seneca County has been reliably Republican for two decades. WASHINGTON (AP) — The White House is pushing ahead with the idea of throwing a grand parade to honor U.S. armed forces, brushing aside Democratic criticism. White House press secretary Sarah Huckabee Sanders confirmed Trump’s request for a parade on Tuesday. She says Trump wants the Pentagon to “explore a celebration” that would allow Americans to show appreciation for the military. BLUE ASH, Ohio (AP) — President Donald Trump accused congressional Democrats on Monday of being “un-American” and perhaps even treasonous for refusing to cheer positive economic news during his State of the Union address. As he spoke, the stock market was plunging toward its largest single-day point drop ever, erasing its gains for the year. Trump has frequently showcased the strong market as a barometer of his economic success and as a boon for everyday Americans and their retirement accounts. He did not mention the stock market during his speech, nor when reporters shouted questions as he returned to Washington after the markets had closed for the day. At its close, the Dow Jones industrial average had fallen more than 1,150 points. During his wide-ranging remarks, Trump took special aim at House Democratic leader Nancy Pelosi for describing as “crumbs” the bonuses of $1,000 or more that some companies, including the one where he was speaking, are giving their workers as a result of the tax cuts. He also accused Democrats of being “un-American” for not clapping, even for positive news during his address to the nation last week, in contrast to fellow Republicans, who he said were “going totally crazy wild” over everything in the speech. Earlier Monday, Trump had gone after California Rep. Adam Schiff, the top Democrat on the House intelligence committee that is investigating possible connections between Russia and Trump’s presidential campaign. As for Pelosi, Trump, who boasts that he is worth billions, said: “She’s a rich woman who lives in a big beautiful house.” He said the “crumbs” talk was not a “good day” for Pelosi. He referred to her as the Republicans’ “secret weapon” and predicted his party will fare well in November’s congressional elections. Trump’s wife, Melania, accompanied him to Ohio aboard Air Force One but peeled off to visit a children’s hospital. She was briefed on the state’s opioid epidemic while he pitched the tax cuts he signed into law just before Christmas. The president’s political broadsides contrasted with the softer touch employed by his wife on her visit to Cincinnati Children’s Hospital Medical Center, where executives briefed her on the opioid crisis in Ohio. She also visited some patients in an activity room, handing each child a Valentine’s Day card. Mrs. Trump has accompanied her husband on numerous domestic trips, to introduce him at events or as they decamp to one of their own establishments for the weekend. Mrs. Trump also joined her husband on several trips to survey damage after hurricanes slammed parts of Texas, Florida and Puerto Rico, where she attended briefings by emergency management officials and helped console storm victims. But Monday’s journey had a different twist in that it marked a less-typical instance in which she split from the president for a policy event separate from his. The trip also followed a period of public speculation about the first couple’s relationship after The Wall Street Journal reported that Trump’s personal lawyer brokered a payment to adult film star Stormy Daniels in October 2016 to keep her from publicly discussing an alleged years-old affair with Trump. The attorney, Michael Cohen, has denied any relationship between Trump and Daniels, whose real name is Stephanie Clifford. Cohen gave the Journal a statement from a person identified as Stormy Daniels denying she had received “hush money.” Daniels has also issued statements denying a relationship with the future president. The first lady smiled as she watched two young boys playing the game “Sorry,” occasionally pulling cards for them. She also sat down with Maya Baughman as the little girl showed her a play castle where she was arranging small toy figures. Nodding approvingly, Mrs. Trump observed a little girl painting a watercolor. 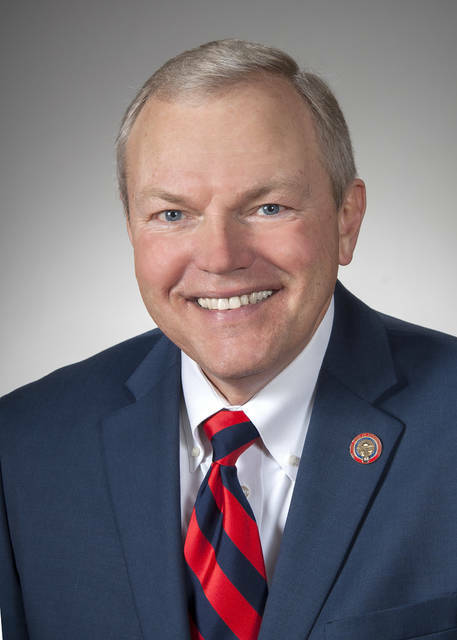 Republican Ohio Gov. John Kasich did not attend Trump’s event, not surprising given Kasich’s vocal opposition to Trump and his stances on health care, immigration and the Russia investigation. Associated Press writer Lisa Cornwell contributed to this report from Cincinnati. Superville reported from Washington. Aides had been aware generally of accusations against Porter since late last year, White House advisers said, but learned of the specifics late Tuesday when approached by a reporter from DailyMail.com, which first detailed many of the allegations. Porter’s ex-wives said they informed the FBI in January 2017 of their allegations against him while they were being interviewed by agents as part of Porter’s security clearance review. It was unclear when or whether the FBI informed the White House. The FBI did not respond to a request for comment. Porter said on Tuesday that he would resign, after the allegations were first published, people close to him say, even as he told White House officials he had never physically abused women. But he was talked out of it by Kelly and others, according to these people, with Kelly saying he believed Porter’s denials and saw him as a valuable ally in the White House. Kelly continued to press him to stay in his job Wednesday, saying he could weather the storm, but Porter decided the controversy had become too much after the photos of his ex-wife’s blackened eye appeared Wednesday morning. In interviews with The Washington Post and other media outlets, Porter’s ex-wives described him as having a dark side and, at times, a violent streak that White House aides say they did not see. Porter’s first wife, Colbie Holderness, said in an interview with The Post that he was continually abusive during their marriage. She alleged he punched her in the face during a trip to Florence in 2005 and provided photos showing her with a black eye. Porter denied the accusations but said he was stepping down from his job, although it was unclear when he will officially leave the White House. On Wednesday night, Kelly issued a statement condemning Porter’s alleged abuses while still expressing support for his aide. Kathryn Hughes, a 36-year-old public relations consultant who lives in Kamas, Utah, said that in 2012, Willoughby confided in her about another violent incident, in December 2010, in which Willoughby alleged that Porter grabbed her by the shoulders and pulled her from the shower during a fight. Hughes said that she and Willoughby met in 2010 at the Church of Jesus Christ of Latter-day Saints in Alexandria and that they struck up a close friendship. Willoughby said Porter angrily called her when she wrote a blog post about him in April — without naming him — and asked her to remove it, concerned about his image. She said Porter demanded again in the fall that she take down the blog post, citing delays in his security clearance. In January, he asked her again to take it down, she said, telling her that reporters were looking into his past. White House officials said early Wednesday that Porter could continue working for several weeks, but as the backlash grew Wednesday night, a senior White House official said he was expected to leave within 48 hours. Porter is an ally of Kelly, and in addition to serving as staff secretary, he oversaw and sought to streamline the White House’s ­policymaking process, working with Cabinet members and other agency officials and leading meetings about issues including immigration and trade. He played an integral role in crafting Trump’s State of the Union address last month. Kelly saw in Porter a partner in professionalizing the operation. Porter is one of the few senior White House staffers with past government experience, having served as chief of staff to Sen. Orrin G. Hatch (R-Utah). Though many of his colleagues have eclectic backgrounds, Porter boasts a classic pedigree as a Harvard University-educated Rhodes scholar whose father, Roger B. Porter, held senior positions in the Ronald Reagan and George H.W. Bush White Houses. In a White House known for its ever-evolving personnel dramas, Porter kept a low profile, only rarely agreeing to be interviewed on the record and never appearing as a surrogate on television. But he was a highly visible figure in Trump’s orbit. He was seemingly omnipresent in the Oval Office for key meetings and events, and regularly traveled with the president — often being one of only a handful of aides to accompany him on the Marine One helicopter before joining the larger staff entourage aboard Air Force One. When Trump spent weekends at his Mar-a-Lago estate in Florida or his Bedminster golf course in New Jersey, Porter often was along for the trip, tending to the president’s needs and briefing him on developments. When the allegations were published Tuesday, the White House mobilized to defend Porter. The White House also distributed a statement from Hatch defending Porter. “It’s incredibly discouraging to see such a vile attack on such a decent man,” Hatch said in a statement. After the release of the photos of Holderness’s bruised eye, Hatch released a new statement. Porter’s most recent ex-girlfriend, who also works in the administration, reached out to the White House last year to express her concerns about him after she discovered his relationship with Hicks, according to a senior administration official. She told the White House counsel’s office about allegations from his ex-wives, this person said. That development was first reported by Politico. The decision by Kelly and other top White House aides to defend Porter from domestic-violence ­allegations is in keeping with Trump’s modus operandi. Throughout his life, Trump has refused to apologize for alleged misdeeds, believing any such concession to be an admission of guilt and a sign of weakness. During the 2016 campaign, more than a dozen women accused Trump of sexual harassment and assault, but the then-candidate denied them all outright. He fought back against the accusers, calling the women liars and even threatening to sue some of them. Trump’s posture and inclinations have shaped the culture of the West Wing, where aides often hunker down and try to fight back against accusations or scrutiny from the media or other outside forces. Vice President Pence, who is traveling in Asia, said he was unaware of any of the allegations against Porter until he learned of them Wednesday while in Tokyo. Porter had a reputation in the building for his fastidious work and was liked by the president, who sometimes rages at other aides. His ex-wives said that Porter directed his abusive behavior toward them in private. Willoughby, a writer and former high school teacher, said she was unaware of the abuse alleged by Porter’s first wife while she was with him. But Holderness reached out to her through Facebook in late January 2017 after she was contacted by the FBI and anticipating the background-check interview. The two met for lunch in Arlington in March and shared their stories — months before they were contacted by reporters and shared those stories publicly this week. Philip Rucker, Tom Jackman and Ashley Parker contributed to this report.